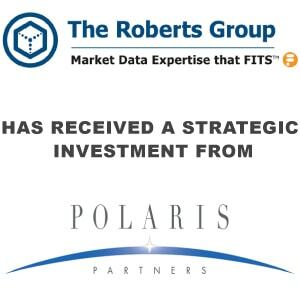 The Roberts Group Announces Strategic Investment from Polaris Partners - Berkery, Noyes & Co., LLC. April 3, 2014 – New York, NY – The Roberts Group (TRG) today announced a strategic investment from Polaris Partners, which will further enable the company to continue on its impressive growth trajectory in delivering market data expertise and cost transparency to the Financial Services industry. Founded in 1998, TRG has served as a leader in helping top financial institutions manage their market data inventory and associated expenses, collectively achieving client savings of hundreds of millions of dollars annually. The terms of the transaction were not disclosed. With the equity investment, Polaris Partner Jason Trevisan and Senior Associate Dylan Pearce will join the TRG Board of Directors and will work closely with existing management to continue the company’s legacy of high customer satisfaction while aggressively expanding their proven business model. Since 1998, The Roberts Group has been providing leading market data cost and inventory management solutions to the global Financial Services industry. Through its proven delivery of system and service offerings, TRG continues to distinguish itself throughout the industry with a growing client base, currently managing nearly $2 Billion in expenses through its Financial Information Tracking System (FITS). From small private hedge funds to the largest global financial institutions, buy-side and sell-side, FITS can help reduce market data spend between 10% and 30%. FITS is available as a secure, SaaS-delivered solution (“FITS Online”) or for internal installation. 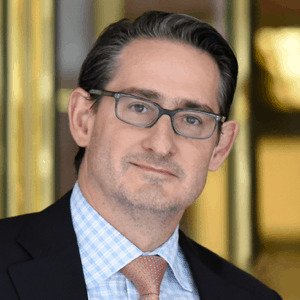 Founded in 1996, Polaris Partners has more than $3.5 billion in capital under management invested into a diverse portfolio of technology and healthcare companies throughout their lifecycles. From the earliest startup phases through the growth stages, Polaris Partners takes minority and majority positions alongside outstanding management teams to help grow industry leading companies. With offices in Boston, San Francisco and Dublin, Polaris partners with an unparalleled network of repeat CEOs, entrepreneurs, top scientists and emerging innovators who are positioned to make a significant impact in their fields and vastly improve the way in which we all live and work. The result: Hundreds of growing companies, thousands of jobs generated, and billions of dollars of value created. For more information, visit: www.polarispartners.com.